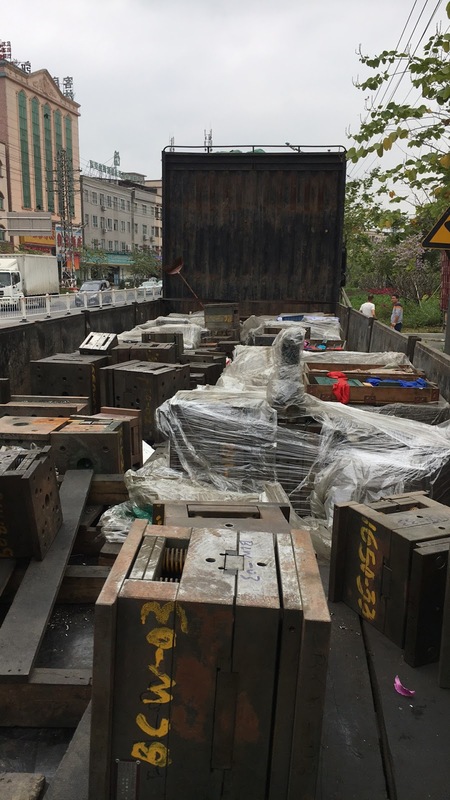 In March this year a major step forward for Eureka occurred when tooling for 14 projects which were being held by a manufacturer previously used by Eureka were recovered and transferred to a safe location in Shenzhen. Two trucks and a forklift were required to move the 39 pallets of tooling to the new location. 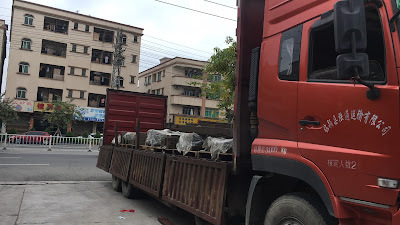 As can be seen in the accompanying photographs even individual tools require the use of a heavy lift capacity to move them. The tooling is now being sorted into projects prior to being moved again to their permanent home at the premises of the manufacturers who are currently being commissioned to complete the assembly of the projects. The key projects involved in the process are the VR K class, the VR bogie open and bogie flat wagons, the NTAF bogie petrol tankers and the private owner four wheel hoppers. Discussions to date indicate that delivery of these outstanding items will be complete by the end of 2018. In addition to the above projects a number of re-runs will now be possible given the retrieval of the tooling including the R class, the AD60, BSV bogie sheep wagons, HUB sets and CHG four wheel guards van. A long overdue newsletter is currently in preparation and will be available in the next week or so. It will contain more information on the above projects as well as up-dates on currently underway projects such as the 38 class re-run, steel sided LCH and RH four wheel hoppers, TAM 12 wheeler and 620/720, 600/700 two car diesel and DEB sets. 2018 will be quite a busy year!